Dont worry I'm not talking about gardening, I'm talking about mixing up your craft items, using things from different companies and even using a flower from one stamp set and a sentiment from another. So many crafters get hung up about being brand loyal and only using one brand per project, but lets face it we are crafters and as such have a huge stash of crafty goodness from lots of companies. Today I am going to share a couple of projects where I have used items from several companies. First up is this super cute floral card. 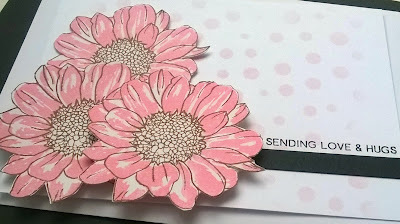 I stamped and cut the flowers using Altenew's Spring daisy stamp and die bundle, I then cut a piece of white card to 4.25" x 5.5", using a non branded stencil which I purchased from a well known auction site I applied some spun sugar Distress ink from Ranger ink. 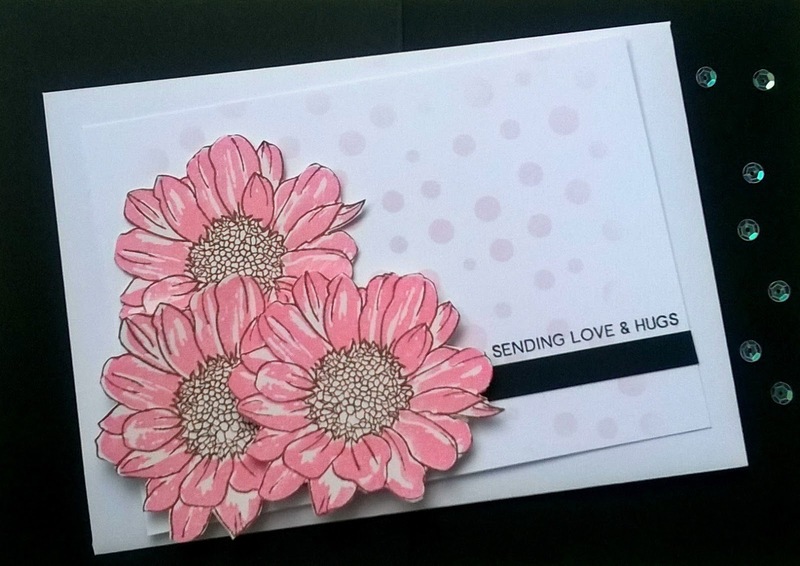 I applied a thin strip of black card (from my scrap box) to the lower section of my card, I added my die cut Daisies suing some foam pads to add diemention and then stamped my sentiment from the Adore you stamp set from Altenew. My second card is really cool, I love teal and black together, they just pop and make me feel happy. In a similar way to my first card I added some distress ink through a non branded stencil, this time I used the colour Peacock feathers. I am making sure that the ink is more vibrant in the centre of the inked section and it fades out towards the edges. 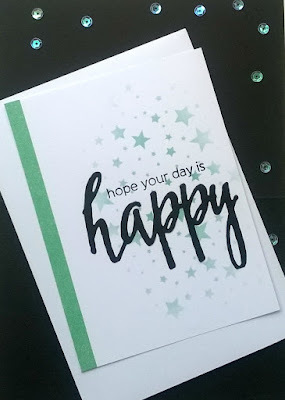 I then die cut word Happy using Happy die from Altenew. 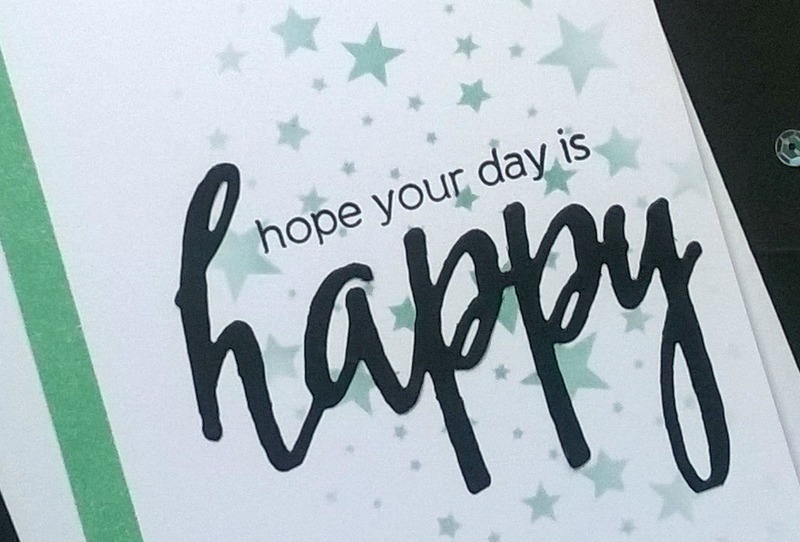 I also used the Halftone happy stamp set to complete my sentiment. All that was left to do was add some thin washi tape (also from a well known auction site ) to the left edge of my card. I have used unbranded stencils and washi tape which I brought on the internet form China, yes they took 2 weeks to get here but when they cost just 20% of a branded comparable product it means I get to save my money for stamps from my favourite companies.